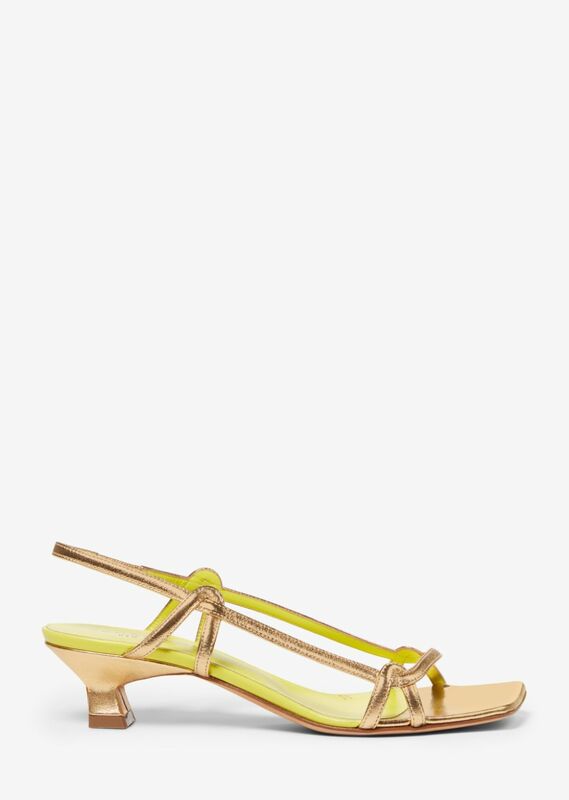 Square-toed strappy heeled sandal in metallic gold nappa leather. Thin, twisting straps. Tonal shaped heel with rubber cap. Leather sole; lime green insole.